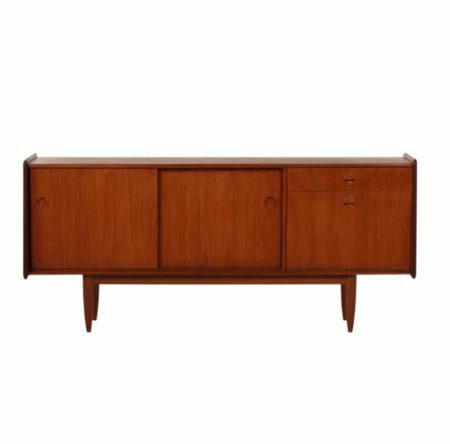 Teak sideboard designed by Louis van Teeffelen for Webé in the 60s. The style of Louis van Teeffelen is clearly recognizable by the finishing of the edges. 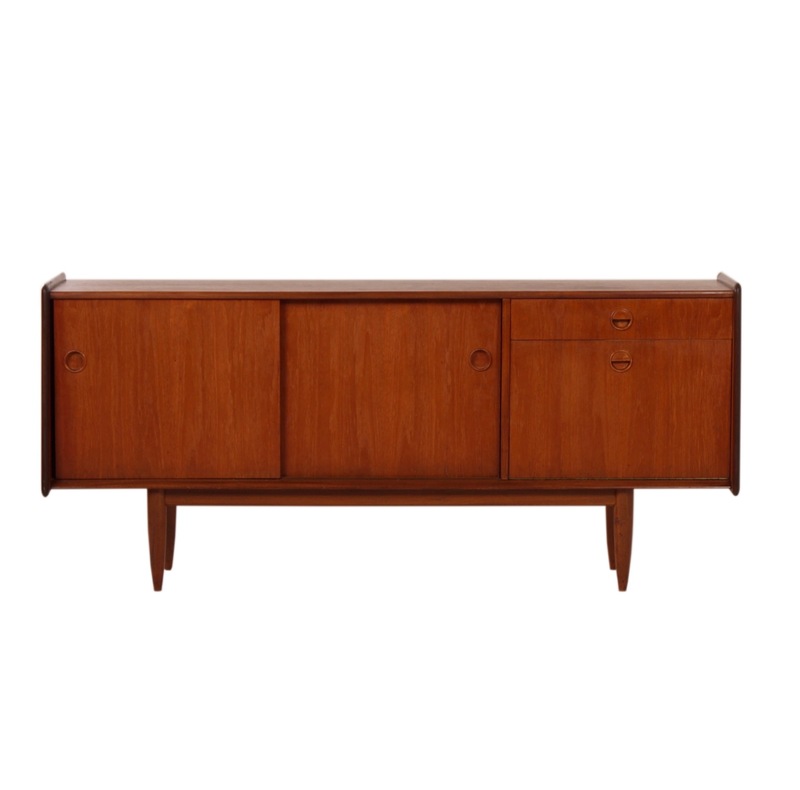 Considering its age this teak sideboard is in very good condition, minor traces of use on the top. In the picture it seems worse than it actually is. Material: teak. Colour: brown.